Why Choose AutoImports of Denver? We aim to serve our customers with expertise, great prices, a 38,000 miles/38-month Warranty, and 100% satisfaction. 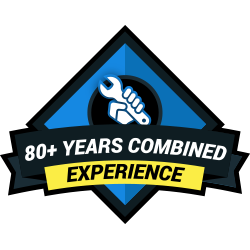 Our repair facility is equipped with state-of-the art technology, and our master mechanics will leave you feeling confident that all your automotive needs are being met. Call us today for a free consultation, and we will guide you through the process of ensuring that you receive the absolute best quality repair and that your car gets back on the road where it belongs. AutoImports of Denver was established in 1984 by Kris Lesinski. 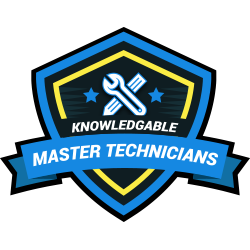 Today, Kris and his two master mechanics Jeremiah and Dominic, strive to provide the highest quality import car service to the Denver Metro Area. We have state-of-the-art equipment to perform diagnostics on all brand of cars. AutoImports of Denver specializes in imports including BMW, Audi, Mercedes, Mini, Volkswagen, Volvo, Porsche, Jaguar and Land Rover. We excel in Repair, Service, and Maintenance of cars such as BMW, Audi, Mercedes, Mini, Land Rover, Porsche and VW. We have been servicing the Denver Metro Area for over 34 years. We have all the latest tools, equipment, and service instructions for your car. AutoImports’ technicians are factory trained experts, certified and registered for their individual specialties; we are skilled at drive-ability diagnostics, electrical troubleshooting, air conditioning work, and major drive train repairs. 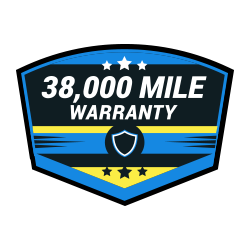 Our warranty for parts and labor is 38 months/38,000 miles. And we do it all with a friendly smile. How long have you had your BMW? At AutoImports of Denver, we always accept extended warranties. Did your car fall out of warranty already? Go ahead and give us a call! You’ll be pleasantly surprised at how affordable our rates are. Plus, you can rest easier knowing that we have the exact same machines and tools as the dealerships. Unlike many expensive dealerships, we’re actually passionate about BMWs, and have devoted ourselves to the comprehensive repair of the ultimate driving machine. When you’re looking for the perfect shop for BMW electrical repairs in Denver, CO make us your first choice. To learn more or schedule service, give us a call today.